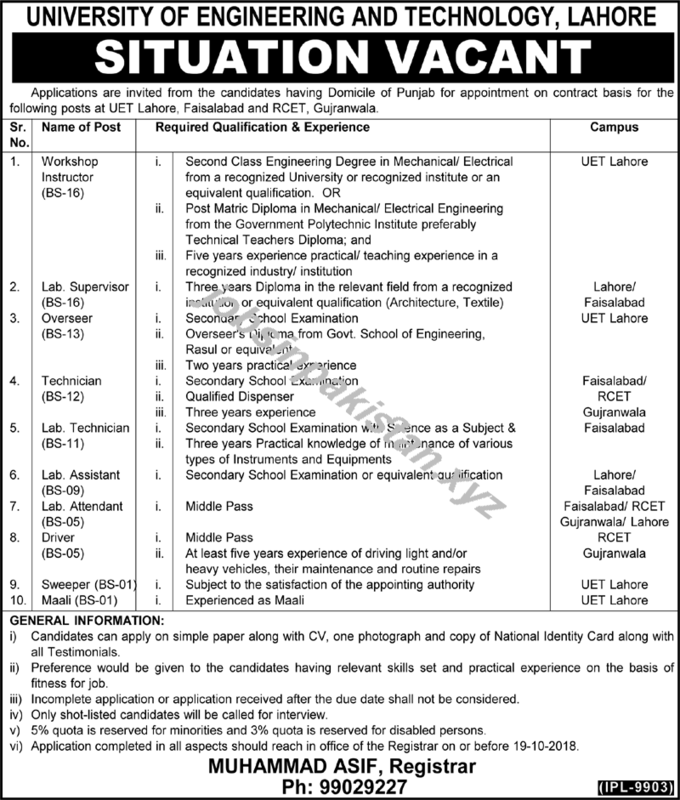 The advertisement for University of Engineering and Technology Lahore Jobs 2018 has come on newspaper of 7 October 2018. The last date for submitting of application form for University of Engineering and Technology Lahore Jobs 2018 is 19 October 2018. Incomplete applications will not be accepted for Jobs in University of Engineering and Technology. 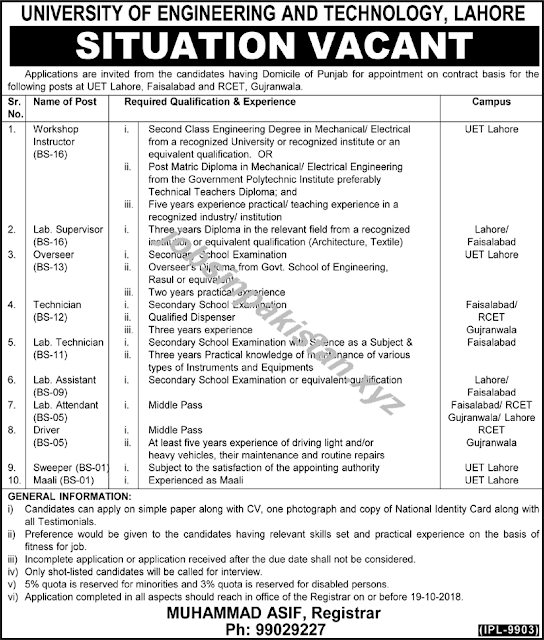 Only short listed candidates will called for interview in University of Engineering and Technology Lahore. University of Engineering and Technology Lahore requires a applications for following jobs.